Sumptuous seafood, rolling countryside, spectacular coastline and a friendly welcome are just some of New England’s most enticing qualities. Today we look at the region’s most popular locations and what you can get for your money. There’s no doubt about it – autumn (or fall as you should get used to calling it) is here! In its honour, this month’s USA area guide takes a look at New England – a region well known for being particularly spectacular in ‘fall’. 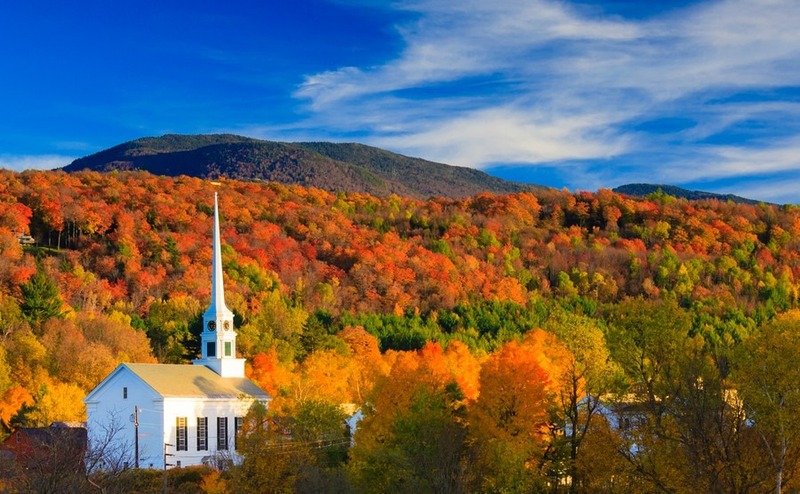 New England is a collection of six US states found in the very northeast of the country: Massachusetts, Connecticut, Rhode Island, Vermont, New Hampshire and Maine. 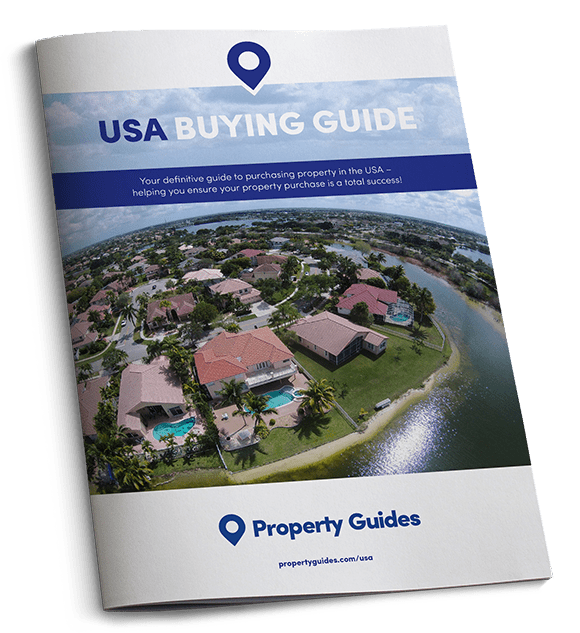 Today we’re looking at what this corner of the US has to offer, the best spots, and the types of property that you can get for your money. New England is home to national parks, mountain ranges, rivers, lakes, forests, fantastic hiking and skiing, wonderful seaside towns, rocky coastline and sandy beaches. New England, on the Atlantic coast, is where the pilgrims landed when they first arrived in the US. Boston is the region’s largest hub, known for the Red Sox, the New England Patriots, Harvard University and excellent chowder. In fact, should you like seafood, New England will spoil you for choice. As the region spans such an enormous distance, New England is incredibly diverse. It’s home to national parks, mountain ranges, rivers, lakes, forests, fantastic hiking and skiing, wonderful seaside towns, rocky coastline and sandy beaches. While the view might change from town to town, what doesn’t is the friendly people that will greet you. New Englanders are known for being welcoming, friendly and liberal minded. The majority are very active and love the great outdoors. They are also incredibly passionate when it comes to sport – especially their beloved New England Patriots (American football), the Boston Red Sox (baseball) and the Boston Celtics (basketball). While Boston is New England’s largest city, with a population of around 670,000, there are a number of cities across the region with populations of more than 100,000 where a wide variety of employment opportunities can be found. Major industries include real estate, tourism, energy, employment by the State, tax, manufacturing, agriculture and exports – Portland in Maine is the largest sea port in New England. New England is home to some of the finest educational establishments in the United States, and the world. Four of the country’s Ivy League schools are found here, Harvard, Yale, Dartmouth and Brown. There are hundreds of excellent schools, colleges and universities so education and research are also big employers. If you’re making the move, you should speak to a currency and payments specialist about how to get money sent to you in the US. We recommend Smart, ranked highest on Trustpilot for money transfer and currency exchange. As New England spans over 500 miles the climate varies significantly depending on where you are. As a general rule, winters are long, cold and heavy snow is common. This is why many so-called ‘snowbirds’ leave their New England homes during winter and head to sunnier climes down in Florida or the Caribbean. Places like Boston and Hartford in Connecticut receive between 35-50 inches of snow each year. Up in Maine, that shoots up to 50-75 inches of snow per year! The summer can be lovely and warm, which helps drive tourism. The average temperature during summer ranges from 26-29 degrees, but expect the temperature to dip considerably when the sun goes down – especially if you’re in the mountains of by the coast. Fall is the best time of year. Temperatures are crisp and tend to average around 7-10 degrees. If you’re hoping to visit during peak times to see the leaves turn, you should aim for early to mid-October. Regularly named one of America’s prettiest towns, Hanover is picturesque, friendly and enjoys a vibrant cultural scene. 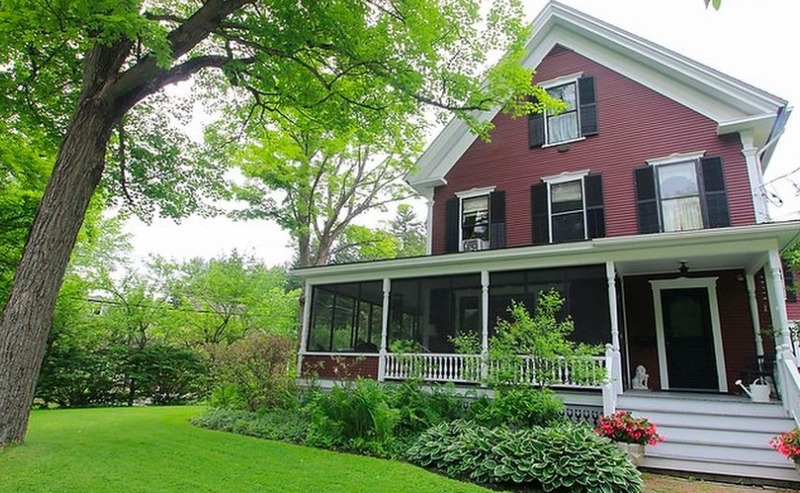 The town is located in the scenic Upper Valley of the Connecticut River, which means there are plenty of opportunities for recreational pursuits either on the river or in the surrounding countryside. The Appalachian Trail is nearby, as are New Hampshire’s ski fields. The town is also home to Dartmouth College, so there is always something to do, be it a gig, an exhibition, or a sporting event. This incredible four-bedroom, six-bathroom private property is a complete bargain at just $799,000 (£605,000). 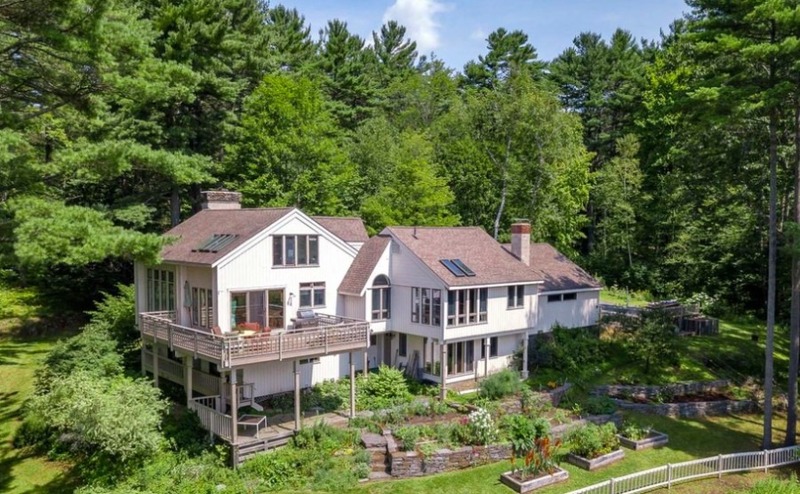 While technically in Vermont, the house is just a short drive from Hanover, but far enough out into the countryside to get some real peace and quiet. The property has cathedral ceilings, a climate controlled wine cellar and is set in 2.5 private acres overlooking the mountains. Providence, the capital of Rhode Island, is a lovely small city with a population of around 180,000. Here you’ll find a number of excellent universities, a varied dining scene, great parks, museums and galleries. Providence River runs through the centre of town. Regularly named one of America’s prettiest towns, Hanover is picturesque, friendly and enjoys a vibrant cultural scene. 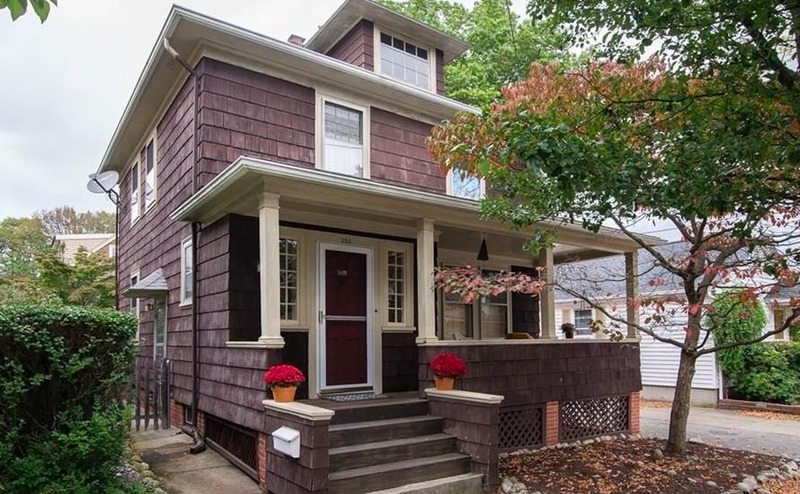 This 1920’s three-bedroom, two-bathroom home is on the market for $399,000 (£302,750). The cottage-style property is located close to the CBD and has a lovely sunny porch, perfect for enjoying your morning coffee. While technically a city, this is the USAs smallest capital and has a lovely village vibe. Residents enjoy easy access to Vermont’s great outdoors and a spot of history at the State House and the Vermont Historical Society Museum. Montpelier is known for its many farm-to-table restaurants and cafes, for it healthy, active residents and for its wonderful daily farmers market. This charming Queen Anne Victorian property has four-bedrooms, five-bathrooms and hard wood floors throughout. The property boats high ceilings, a library and a detached barn, which currently houses four offices, a conference room and a bathroom. This could easily be converted into a self-contained apartment, guest cottage or annexe for the in-laws! The property is on the market for $559,000 (£424,000).